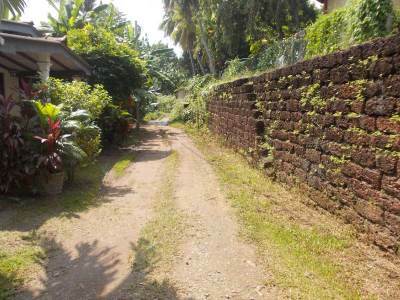 Kiribathgoda -> Borella -> Rajagiriya -> Pitakotte and returning through same route. 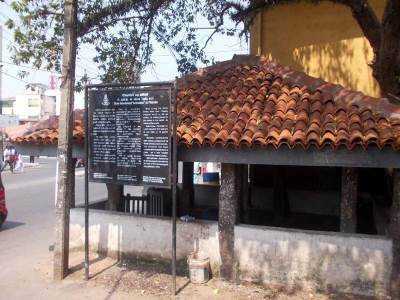 If you are using public transport, you have to walk one or two kilometers to visit these things. 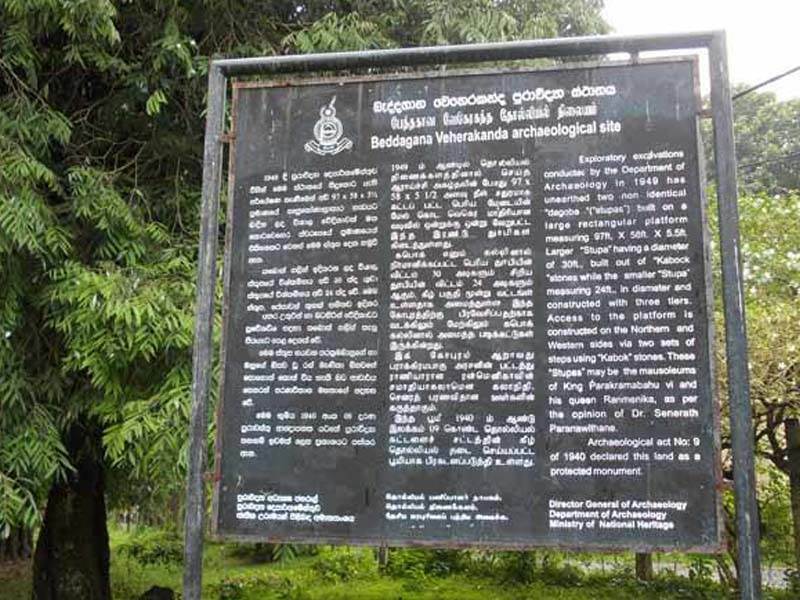 Do not cause any damage to these archeological sites. 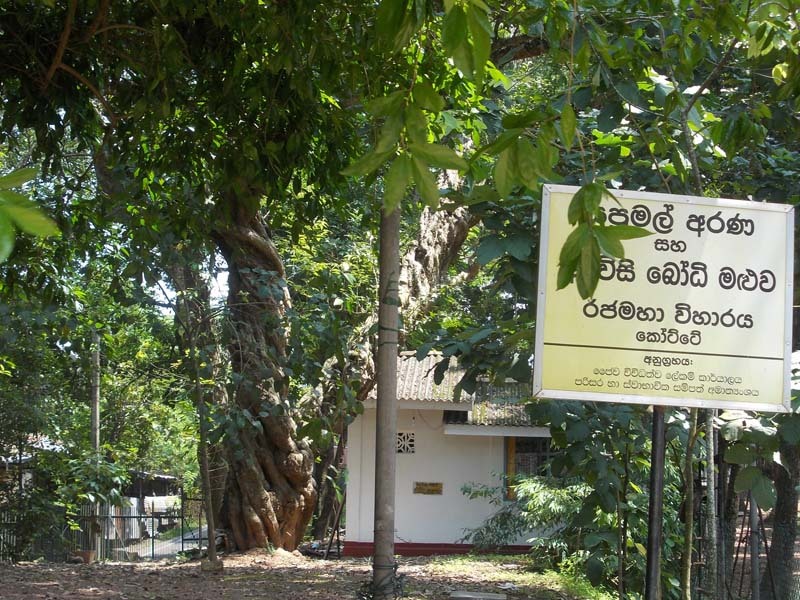 Contact National Museum Authority (Kotte) for more information and more places to visit. Photographing inside the museum is not allowed without permission. You need to take permission from Archeological Department. 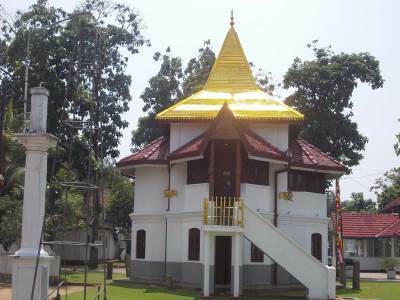 On a sunny day at around 8.00 am we reached kiribathgoda to travel to Pitakotte. We came to Borelle and took a bus to Pitakotte. We came there by 10.00 am. 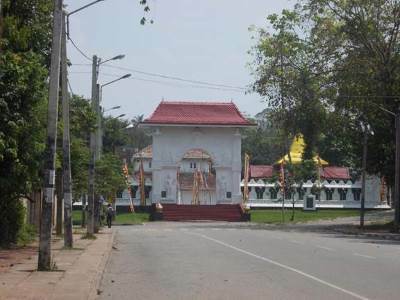 The Kotte Rajamaha Viharaya is situated 100 meters through “Rajamaa Vihara” road from Pitakotte-Nugegoda main road. 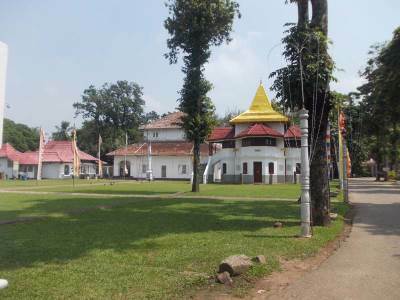 was situated in this temple. 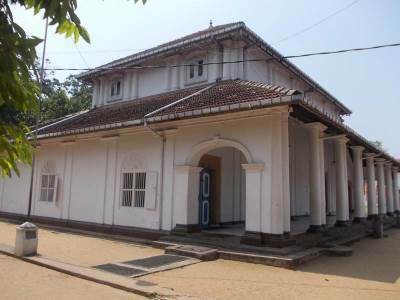 Salalihini Sandeshaya( A massage written in the form of series of poems which was taken by a bird) depicts that this palace had three floors and the tooth relic was kept at the upper floor. 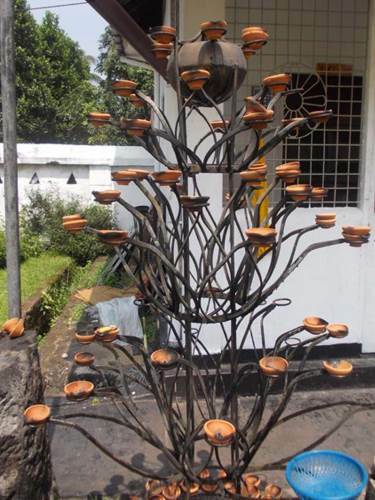 The was created by Parakramabahu VI (1412 BC-1467 BC). 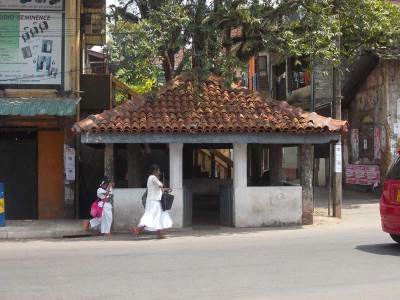 We had to take a bus to Pitakotte Bangalawa junction from Kotte Rajamaha Viharaya. 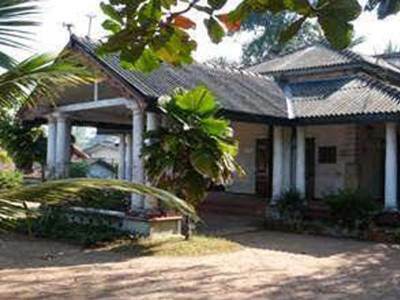 The National Museum of Kotte is situated along the main road. 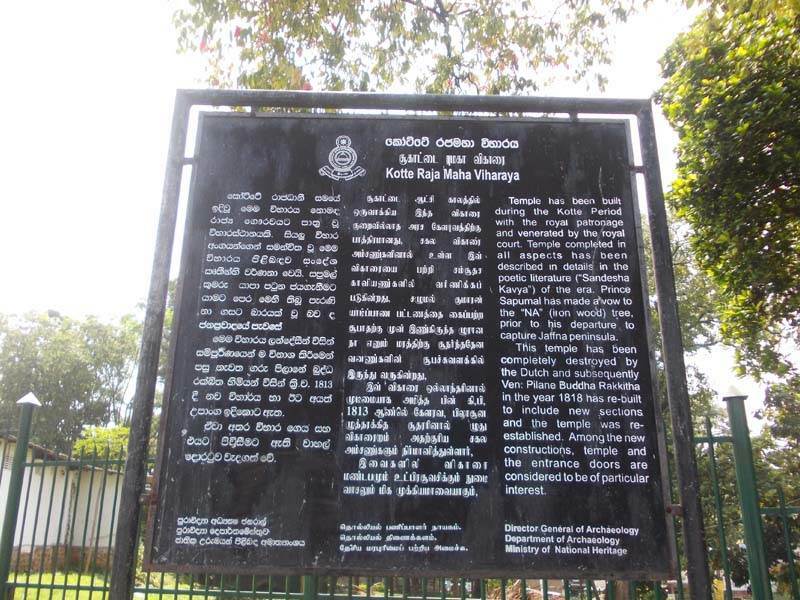 The information about Kingdom of Kotte can be obtained from this museum. We could not take any photos as it is prohibited. 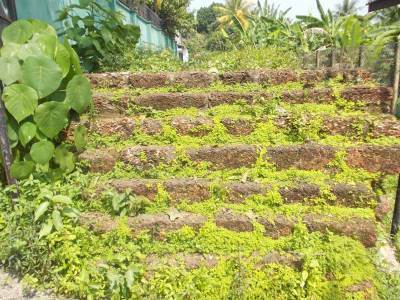 After that we turned to a road called Rampart road where we saw the ruins of Ancient Rampart. 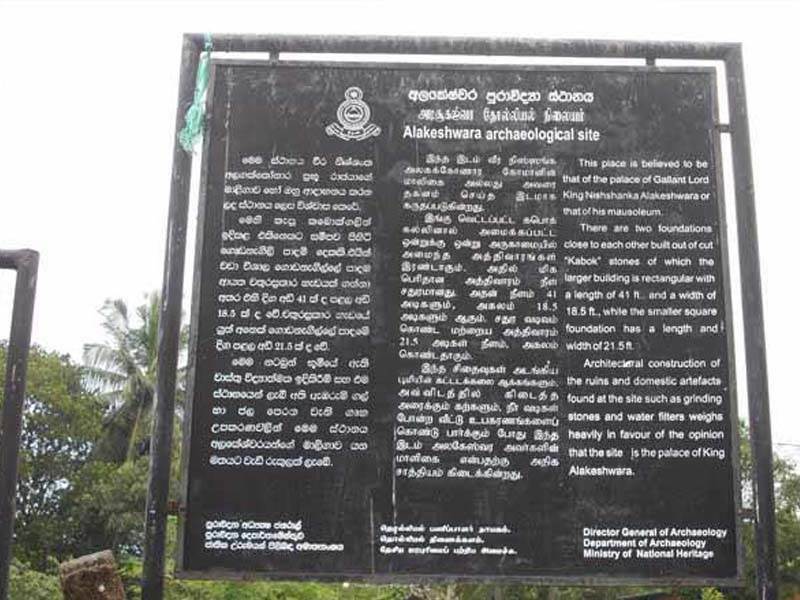 Then we came to the archeological place called “Alakeshwara”. 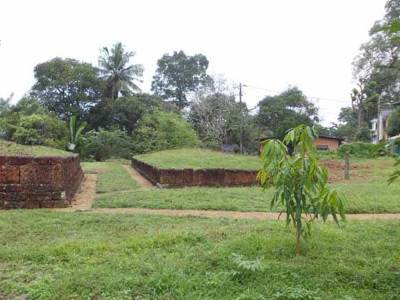 This is a ruin of the palace of Nishanka Alagakkonara,well known as “Alakeshwara”. 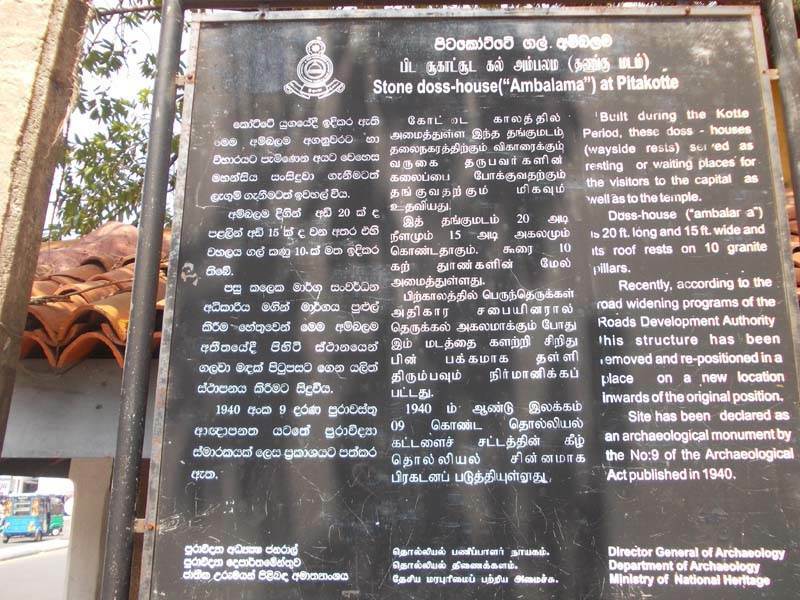 He was the pioneer in building the Kingdom of Kotte. 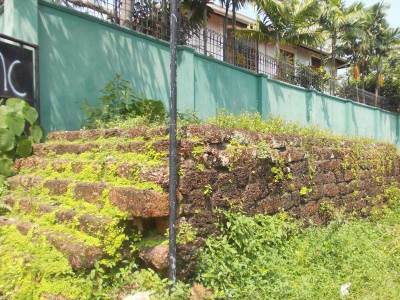 These ruins are located in Weherakanda road turning from Baddagana Road in junction Banagala of the Nugegoda – Rajagiriya main road. 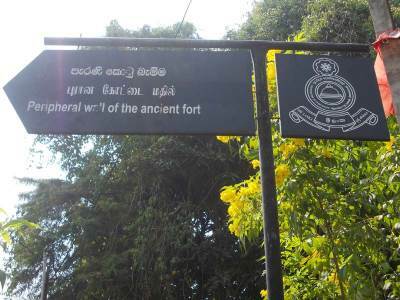 The distance from junction Bangala to Weherakanda road is 2Km.The Weherakanda ruins are at the end point of Weherakanda Road. 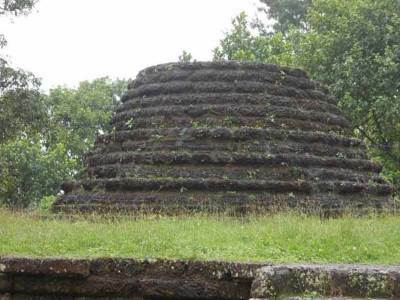 The ruin is two Stupas of two different sizes built on a rectangular base. 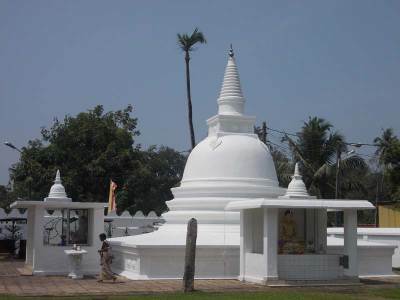 One stupa is 30 feet in diameter while other is 24 feet in diameter. 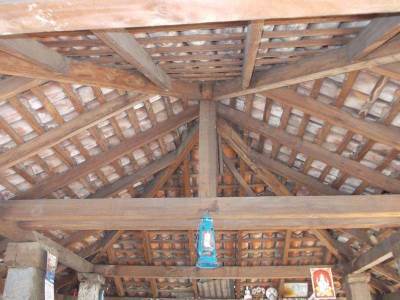 There are three Pesha Walalus (Rings around the stupa) in each stupa. 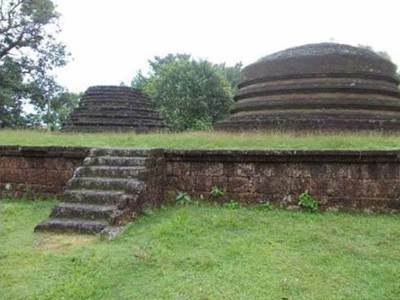 The staircase for the stupa is created in the drection north and west of the base. 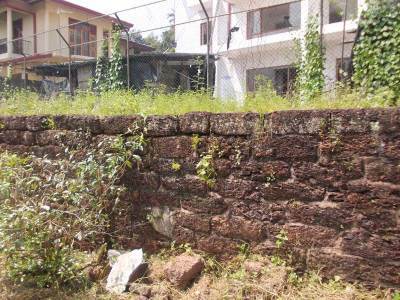 A ruin of foundation to a Pilma geya(A house which the status are kept) also can be seen on the base. There are two different ideas about this place. 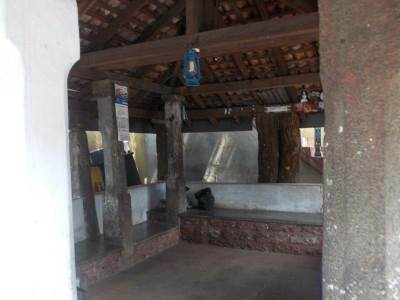 Most of them believe that this is a ruin of a temple at that time. 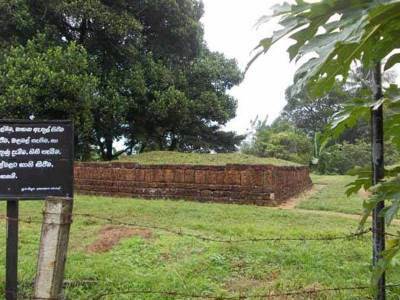 But according to the idea of Professor Senarath Paranawithana this is a ruin of the tomb of king parakramabahu VI and his queen (Ranmanika). 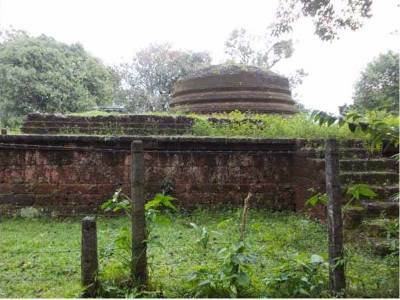 Also there is an idea which is not very famous that is this is a ruin of a dewalaya offered to a god of Kataragama.